How does one approach a book of stories by one of the most important twentieth-century writers of philosophy and criticism, Walter Benjamin? Should one attempt to separate this patchwork of occasional and unpublished fiction from his essays and books, or attempt to link the two? By calling this wonderful collection The Storyteller, the work is immediately put into relationship with one of Benjamin’s most famous critical essays, ‘The Storyteller’ (1936). The translators of this volume, Sam Dolbear, Esther Leslie and Sebastian Truskolaski, take this approach, attempting to link the stories with Benjamin’s claim that ‘before the onset of the First World War, we are told, experience was passed down through the generations in the form of folklore and fairytales’, but that the mechanised destruction in the trenches rendered the ability to narrate that experience of past generations unsettled if not impossible. What use is the experiential richness of the past when the world has become an automated charnel house? This is easy enough to understand, but Benjamin’s argument takes a more complex turn, a typical turn which brings together his messianism with Marxist materialism, offering a shimmering suggestion of how art may be revolutionary as seductive and inspiring as it is opaque. As Dolbear, Leslie and Truskolaski lucidly explain, ‘Benjamin’s association of experience with folklore and fairy tales cannot be seen as expressing a nostalgic yearning to revive a ruined tradition. Rather, the obsolescence of these forms becomes the condition of their critical function […] Kafka’s parables elude interpretation because the key to understanding them has been lost, yet the function of this anachronistic opacity is the unfolding of a language of gestures and names: a facet of what has been described as Kafka’s “inverse messianism”’. Thus, the parables of Kafka, and the stories of Benjamin, contain within them the possibilities of revolutionary change, of the coming of the Messiah, of a totally new experience of the world, not over there, beyond, in another age, yet to come – but within the stories themselves. Little shards of the Messiah glitter in these stories in the materialist praxis of literature itself. Thus we return to the question of the relationship between Benjamin’s literature and his philosophy and criticism. It would be all too easy to see Benjamin’s stories as practical examples of his critical views, an illustrative adjunct to his philosophy. A slight shift of focus offers a slightly different view. Rather than illustrative examples of his philosophical thought, these stories are praxis. They are enactments of how a revolutionary Messianism might emerge from the use of language and the construction of narrative. Both in form and content, usually in little details or minor stories, they offer the possibility of new ways of seeing and new ways of experiencing the world. As the translators astutely put it, the stories demonstrate ‘how Benjamin formally stages, enacts and performs certain concerns that he develops elsewhere in a more academic register’, though this seems a little dry for describing the little doors to rose gardens that Benjamin unlocks for us. The book itself forms one of these constellations which shifts perception to make things anew again. Each story is illustrated by a drawing by Paul Klee, whose work Benjamin famously wrote about. These images themselves refashion the stories, force them to be re-evaluated, and seen to be just the same but slightly different. Walter Benjamin (1892–1940) was a German-Jewish Marxist literary critic, essayist, translator and philosopher. He was associated with the Frankfurt School of critical theory and is the author of Illuminations, The Arcades Project, and The Origin of German Tragic Drama. Esther Leslie is a lecturer in English and Humanities at Birkbeck College, London. She is the author of Walter Benjamin: Overpowering Conformism and sits on the editorial boards of Historical Materialism, Radical Philosophy and Revolutionary History. Tristan Burke has very nearly finished a PhD on nineteenth-century novels. He has written about literature, cinema and critical theory for 3:AM Magazine, The Manchester Review and the Everyday Analysis Collective. The Storyteller is published by Verso Books. Bios of Benjamin, Leslie, Dolbear, and Truskolaski courtesy of the same. 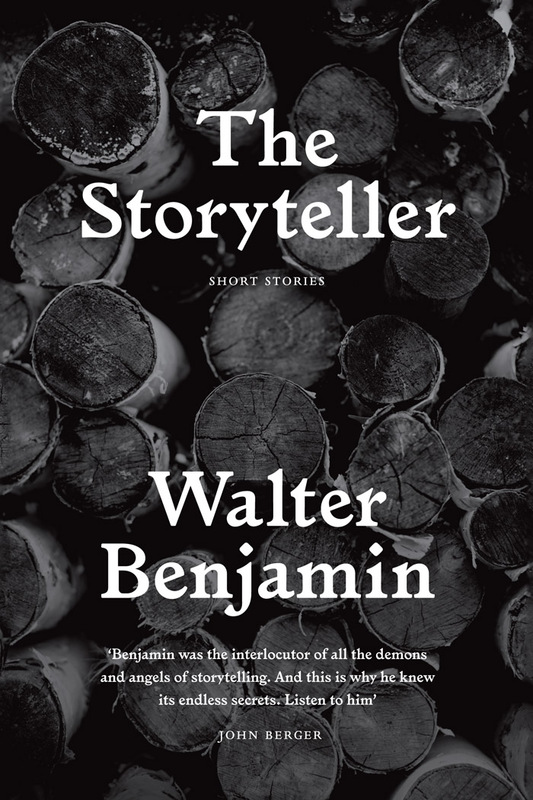 Posted in Book reviews and tagged the storyteller, tristan burke, walter benjamin. Bookmark the permalink.